Disclosure: I was provided lodging and admission to a variety of attractions during my stay in the Hershey/Harrisburg area, in exchange for my honest review of our experiences. Hands-down our favorite experience during our recent visit to Hershey, Pennsylvania, was Hershey’s Chocolate World. The adults and the children in our group (ages 9, 9, and 5) agree that this is the #1 attraction families should consider when visiting the area. Chocolate World has a variety of activities available for guests of all ages, in a number of price ranges. Which activities should families do at Hershey’s Chocolate World? For no admission fee at all, you can visit the Chocolate World gift shop – home to more chocolate and chocolate-themed products than I have ever imagined – and take the free Chocolate Tour ride. 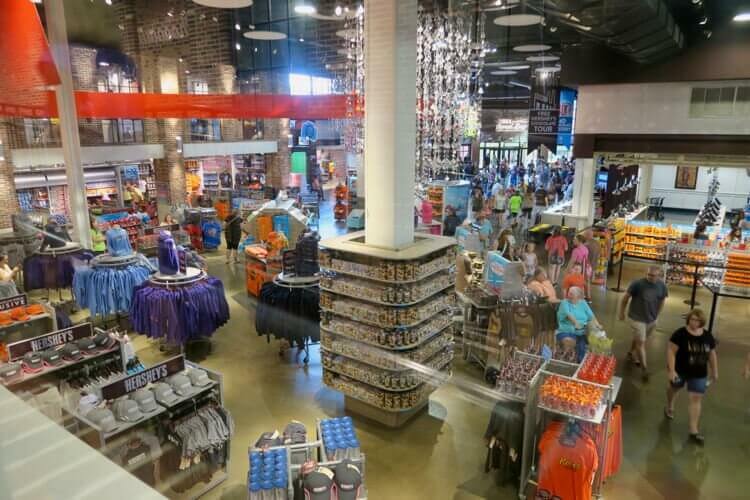 This is just about half of the gift shop, at most. So much fun! The ride is a “dark ride” type experience like you may see at a theme park, that takes guests through the production of chocolate candy from cocoa bean to the store. It’s educational, but not without sacrificing entertainment. Singing cows, a catchy tune, huge vats of swirling chocolate, and a free sample make this 15-minute experience a must-see (and must-taste)! We had so much fun watching as our candy creations were made right before our eyes! Perhaps the cutest activity we participated in at Chocolate World was the “Create Your Own Candy Bar” experience. 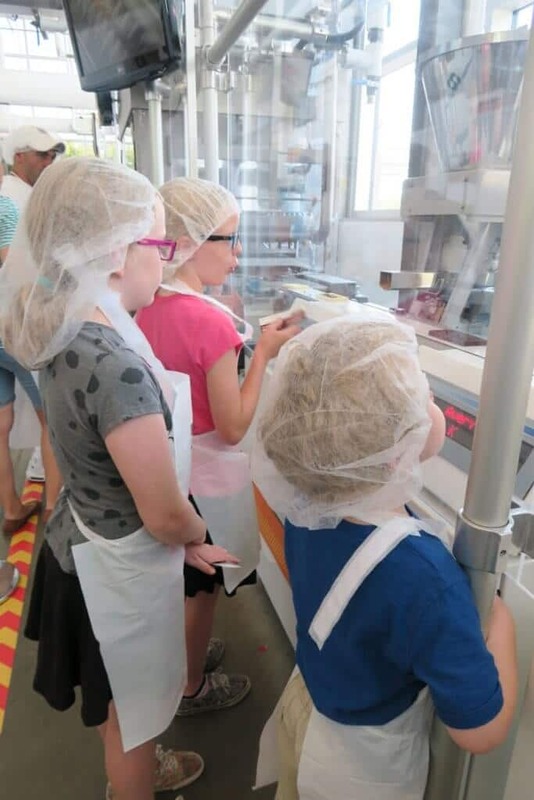 After donning the proper work attire, guests head to several interactive stations to choose a base, mix-in ingredients, and toppings for the perfect chocolate bar. At the interactive stations, we even got to design our own packaging! They then travel into the “factory” to watch their individual bars being made, in a truly personalized experience. 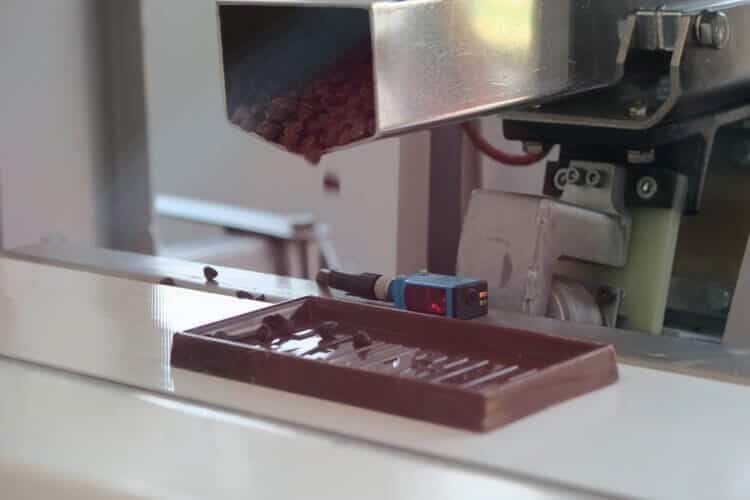 Chocolate is poured, toppings are added, bars are covered and cooled, and packaging is made – all with the ability to track and watch your own creation from start to finish. At each mix-in station, our names came up as our bar was being created – so we could truly follow ours. So neat! If you’ve ever enjoyed a wine tasting or other beverage seminar – and even if you haven’t – you’ll want to check out the Chocolate Tasting Experience. These 30-minute “classes” are offered throughout the day, and ours was the most eye-opening part of our visit. It turns out I have been tasting chocolate – especially dark chocolate – incorrectly my entire life! 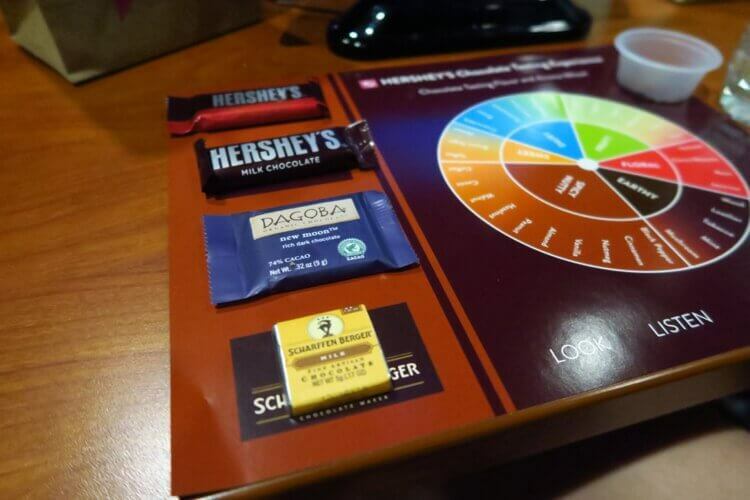 We sampled four chocolates from the Hershey company and its subsidiaries, learning to use all four senses (and a bit of patience!) to truly experience the flavors each provides in a new and unique way. Our tasting expert taught us what makes the chocolates taste different from different regions of the world, and why many people find darker chocolate too bitter – as well as how to avoid unnecessary bitterness to enjoy the chocolate as it was intended. 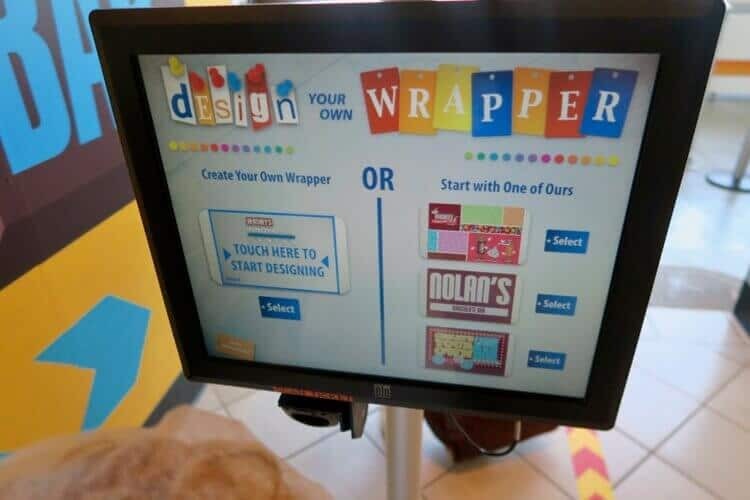 We sampled chocolate, and “voted” for what we tasted on interactive screens. Even with the addition of some extremely dark chocolates and some conversations about agriculture and flavor profiles, my kids were totally captivated. They in turn provided extra entertainment for me, as they took their roles of “chocolate palateers-in-training” very seriously! 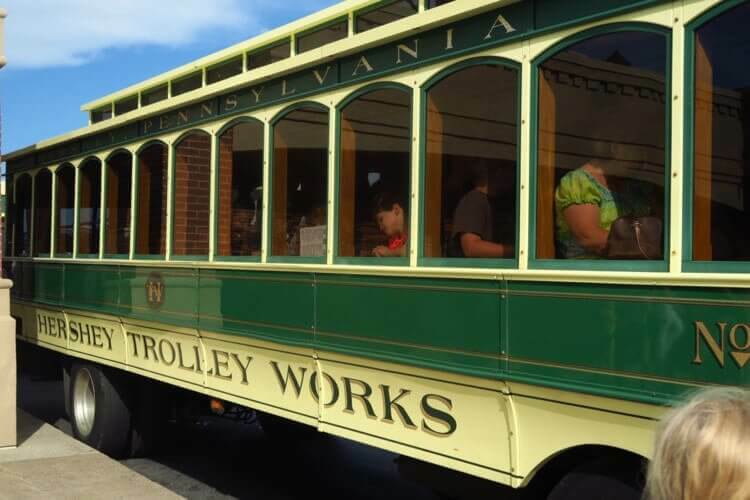 Just outside of Chocolate World (tickets purchased inside, along with the other attractions), catch a ride on an adorable green trolley for a historic look at the town Milton Hershey built – a town that truly does, at times, smell like chocolate. Trolley Works offers a 75-minute in-depth tour year-round, that showcases the town and Mr. Hershey’s story. Additionally, there are seasonal tours geared toward families, totally suitable for kids and kids-at-heart! We took the 45-minute “Summer Trolley”, and would wholeheartedly recommend it – or whichever seasonal tour is offered at the time of your visit. We all loved the Summer Trolley, chock full of stories about Milton Hershey’s life… and even a little bit of singing! On the Summer Trolley, actors entertained us throughout the entire journey with a story, a number of colorful characters, and even some singing! We heard highlights of Milton Hershey’s childhood, his failures and successes, his wife’s and his love for children and their community, and learned about his philanthropy and generosity. His story is truly inspiring, and even the shorter, more “fun-centric” tours covered it really well. Oh, and there’s more free chocolate throughout the tour. You’re welcome. As part of a package, I’d encourage you to take part in the 4-D Chocolate Mystery movie; if you’re choosing activities a la carte, this may be the one I would skip. 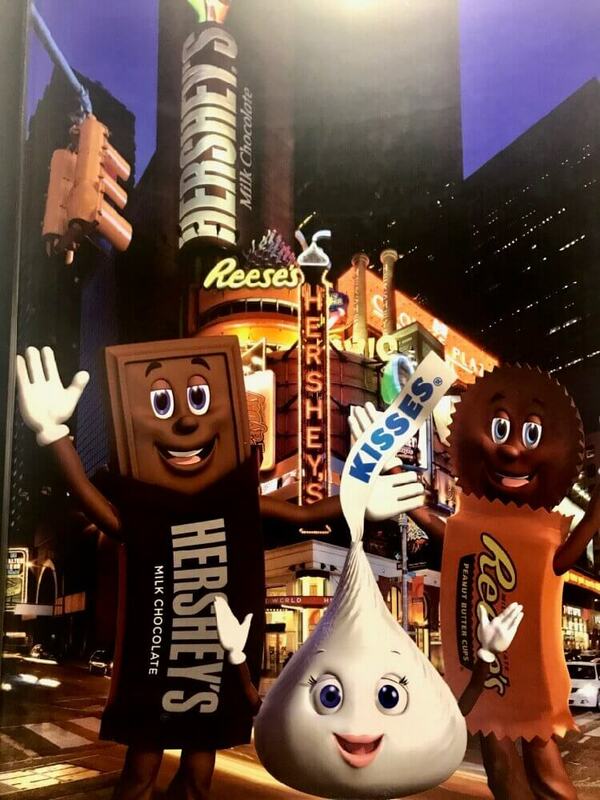 It’s cute and kept the kids entertained, and I’ll be honest – it’s the one place we felt we got to “know” the personalities of Reese, Hershey, and Kiss – the three mascots seen most frequently throughout Hershey’s Chocolate World and Hersheypark. Hershey, Kiss, and Reese can be seen throughout Hershey, Pennsylvania – and star in the 4D mystery movie. Aside from that benefit, the show felt a bit more like a “pre-show” of a larger attraction; we were left hoping for more of a story or mystery. The 4-D elements were effective, if somewhat limited, and the chocolate sample at the end was a nice bonus. The personalities of the characters were endearing. 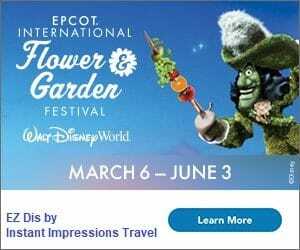 I only suggest this attraction last because we felt – and you may feel – a real time constraint with all that is offered in Chocolate World and Hersheypark, and this one is skippable – especially when compared to the other things that are available. 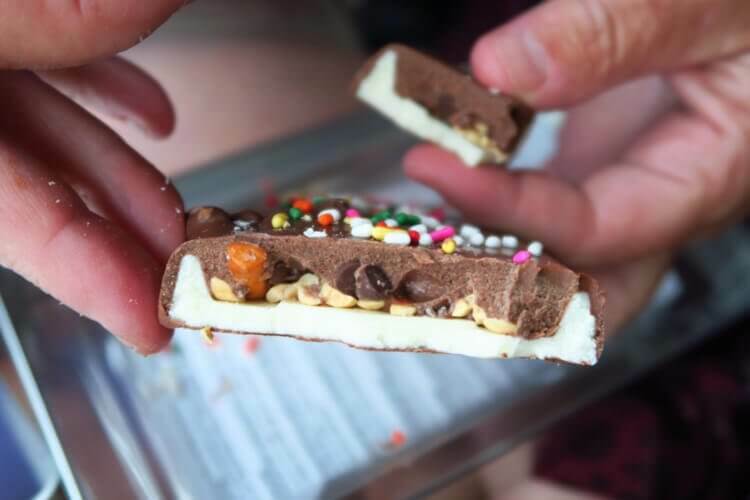 One of our “Create Your Own Candy Bar” masterpieces – a white chocolate base, with pretzels, toffee chips, chocolate chips, and sprinkles. These were fun AND tasty! For more information on your visit, be sure to visit the Hershey Harrisburg Regional Visitors Bureau!